AIG won't join lawsuit against U.S. 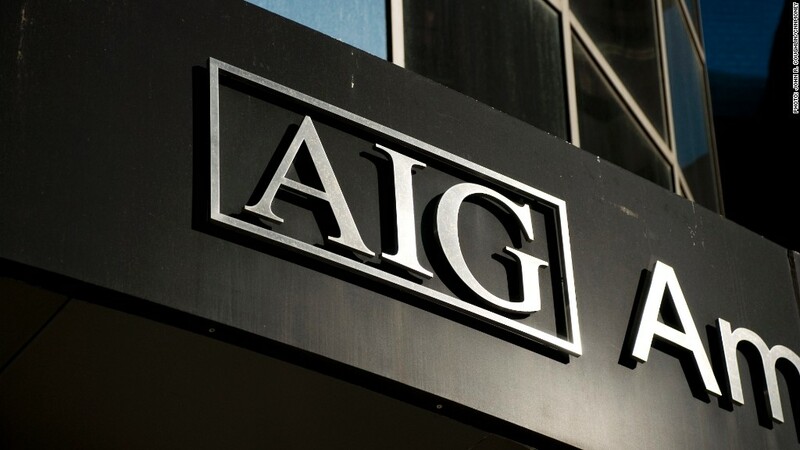 The board of AIG decided Wednesday not to join a shareholder lawsuit against taxpayers which challenges the terms of the bailout that saved the insurer from bankruptcy in 2008. The board did not detail the reasons for the decision, saying it will make that clear in court filings in the coming weeks. But when reports surfaced Tuesday that it was even considering joining the suit, it sparked widespread outrage against the company. The $25 billion suit was brought in 2011 by shareholders led by former AIG CEO Maurice "Hank" Greenberg. It claims that the high interest rates and 92% equity stake that AIG (AIG) was forced to give to the federal government in return for the $182 billion bailout were unfair to shareholders. The terms were much tougher on AIG shareholders than those imposed on the major banks that also were bailed out, though none of them were on the cusp of bankruptcy as AIG found itself in September 2008. Attorneys for the plaintiffs in the suit made a presentation to the AIG board Wednesday morning, followed by attorneys for the New York Federal Reserve and the Treasury Department, which are the defendants. It was partly because of the terms of the AIG bailout that taxpayers made a profit. Treasury sold its remaining stake in AIG last month. In November, a federal judge ruled against the shareholder suit, saying that the only alternative to the bailout was bankruptcy, which would have left the shareholders with virtually nothing. But the plaintiffs are appealing that decision and had asked AIG to join them. AIG said that in addition to not joining the suit, it also will not permit the shareholders to pursue the claims against the government in AIG's name. David Boies, the attorney for the shareholders, said the plaintiffs regret the decision of AIG board, but will continue to pursue the case. He said that despite the ruling of district court in the case, another judge considering the lawsuit has already upheld their legal theory of the case. "The facts on which the case relies are set forth in the government's own documents and admissions, and in the reports of Congressional committees and inspector generals," he said. The New York Fed, the lead defendant in the case, had no comment on AIG's decision. But some outside legal experts said they believe AIG had little choice but to not join the suit. Brian Fraser, a New York attorney specializing in corporate and shareholder litigation, said that even if it was proper for AIG to consider joining the suit "the company does not have a fiduciary duty to bring a frivolous claim." Other experts agree AIG would not have won even if it had joined with shareholders. "The current board of directors at AIG has absolutely no business joining in a lawsuit that claims that the settlement terms have been unfair,' said John Alan James, professor at Pace University's business school in New York. "The government's case is clear: the AIG board in 2009 approved the details of the deal. AIG received the bailout funds that saved the company and have allowed it to regain a sound financial structure and pay back the government." Wednesday AIG repeated its earlier statements that it had a legal obligation to consider joining the suit. "In considering and ultimately refusing the demand before us, the board of directors properly and fully executed our fiduciary and legal obligations to AIG and its shareholders," said AIG Chairman Robert "Steve" Miller. But the news of the company's consideration of the lawsuit had sparked widespread outrage Tuesday, appearing especially tone deaf just after AIG started an advertising campaign thanking America for the bailout. "We continue to thank America for its support," Miller said Wednesday.